Four tools in one tidy package! The tool has a flat end for pressing, folding, and/or burnishing. 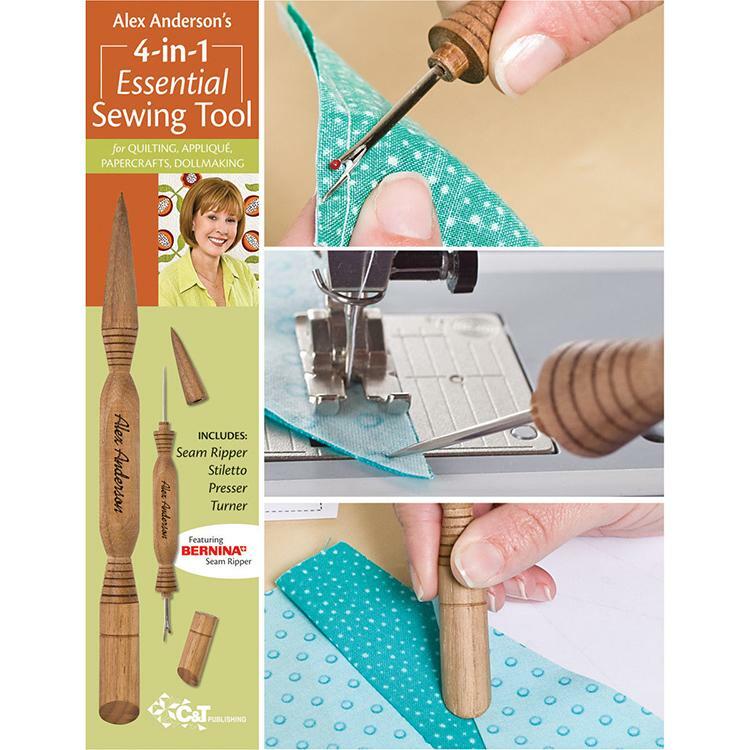 It has a super-sharp BERNINA seam ripper for fast "unsewing". Use the pointed wood end cap for turning bias tubes and doll parts. And use the stiletto while pressing and machine piecing. There is an added detail that you will love: the wooden handle is squared off so it won't roll off your work surface. We all need one of these tools :-).